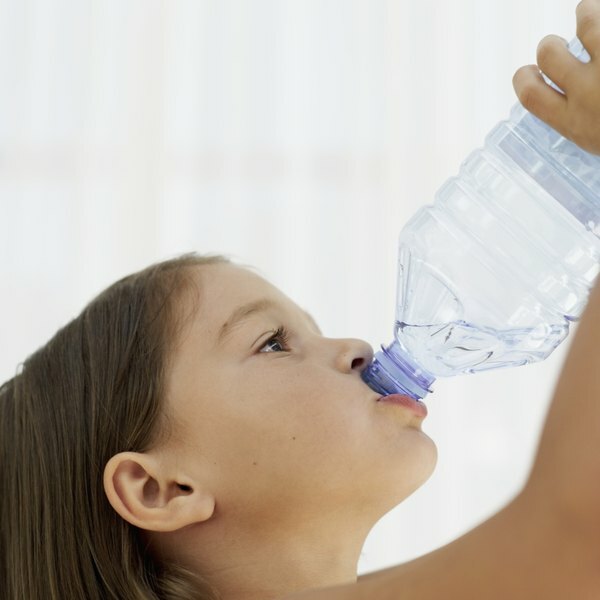 Is Alkaline Water Good for Children? Some makers of alkaline water claim the higher pH levels it contains give your body more energy and can slow the aging process. The Alabama State Water Program reports that research is lacking to support any claims about alkaline water and recommends normal water for children and adults to avoid potential health risks. Water is vital to every part of the body and is responsible for removing harmful toxins from your organs and delivering nutrients to your cells. Alkaline water is water that has been ionized, or manipulated to have a higher pH level, and is sold as a commercial product. While those who sell alkaline water promise numerous health benefits, some manufacturers discourage children from drinking the product. Drink normal water as the safest option, since there is no scientific research to determine the long-term effects alkaline water may have on your health or the health of your family. Water marketed as “alkaline” has a higher pH level than regular water. A healthy pH level—the measure of acidity vs. alkalinity in your child’s body, is between 7.35 and 7.45, which indicates blood is slightly more alkaline than acidic, according to Go Ask Alice!, a health resource from Columbia University. Your bones store calcium and work to maintain the acidity in your blood. A diet high in dairy, meat, flour and sugar causes excess acid in your blood, which forces your body to take calcium from the bones to normalize your pH level. Foods like vegetables and fruit—and potentially alkaline water—help your blood stay alkaline, which protects your bones from the need to surrender calcium to your blood. Supporters of alkaline water claim the water has the same ability as vegetables and fruits to lower your body’s risk for high acidity by neutralizing acid in your blood. Some who sell the water claim the higher pH level results in more energy, a faster metabolism to help you achieve weight loss and even the ability to slow your body’s aging process. However, claims about the benefits of the water—and the long-term effects it may have on your body or your child’s health—are unproven. Consume plenty of vegetables and fruit, which can help maintain a normal pH level, to avoid the cost of water filters and alkaline water's potential health risks for your children, suggests Go Ask Alice! Go Ask Alice! : Alkaline Water—Is It Better for Your Body?